Graduate student, Rowdy Boeyink, has made the discovery of a lifetime. While doing research for his thesis on Paul Ehrenfest in the archives of the Lorentz Institute for Theoretical Physics (Leiden University), he found a copy of one of Albert Einstein’s manuscripts. The handwritten manuscript was dated December 1924. The manuscript was published in January of 1925 under the title “Quantum Theory of the Monatomic Ideal Gas”. Thelength of the handwritten document is 16 pages. It is considered one of Einstein’s greatest theories. The timing of the discovery is interesting. This is the 100 year anniversary of the publishing of some of Einstein’s key scientific papers. Leiden University was one of Einstein’s haunts. A position was created for Einstein in 1920. 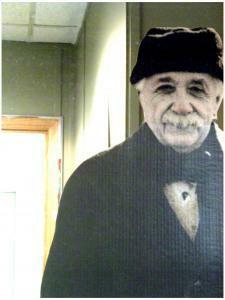 He was one of many important scholars, including other Nobel Prize winners, to grace the halls of the University. Einstein did not return to the University after he fled from Europe in 1933. The 1925 manuscript has been digitally reproduced. It can be found in the Einstein Archive’s section on the Leiden University website. View the 1925 Manuscript Two other documents composed by Einstein are also in the online Einstein Archive.